Flip or Flop Ft Worth is the latest series coming to HGTV, and now viewers of the network have an idea about what the series is about. 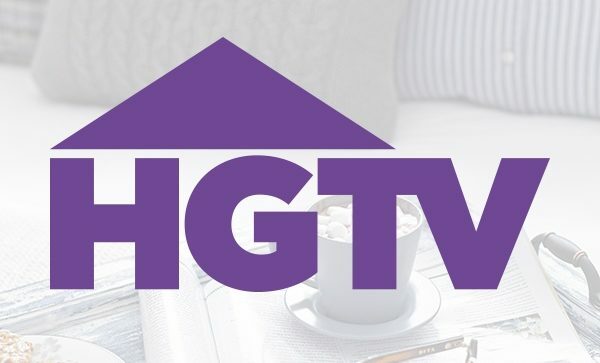 HGTV revealed details about the new series in a press release. Check that out below. “Military veterans Andy and Ashley Williams are the newest expert flippers featured in an HGTV Flip or Flop spin-off – Flip or Flop Ft. Worth. Premiering on Thursday, Nov. 2, at 9 p.m. ET/PT, the nine-episode season follows Andy, a real estate agent and home renovation expert, and his wife, designer Ashley, as they purchase some of Fort Worth’s most rundown properties and transform them into stunning family homes. The couple, who met while serving in the United States Armed Forces in Iraq, are also the parents of two young children. During the series, Andy and Ashley take the fixer uppers down to the studs while saving the original features that will most appeal to buyers. The series also will highlight the duo’s commitment to hiring fellow veterans to assist on their projects, including landscape designer Andrew Turner who helps Andy and Ashley add curb appeal to several homes during the season. To learn more, visit www.hgtv.com/FliporFlopFtWorth for compelling facts about the hosts, a sneak peek of the season and exclusive before and after photos. Viewers also can interact via social media using #FlipOrFlop. Will you check out Flip or Flop Ft Worth? Tell us what you think. More about: Flip or Flop, Flip or Flop Fort Worth, Flip or Flop Fort Worth: canceled or renewed?, Flip or Flop: canceled or renewed?, HGTV TV shows: canceled or renewed? I Loved Flip or Flop Forth Worth The Williams family. I hope you are renewing there show this fall. Love flip or flop Fort Worth. The Williams have a very good dinamic together and I hope that it gets renewed for season 2 and many more. I loved Flip or Flop Fort Worth! Andy and Ashley are just a normal couple and that comes across on tv. I really likes their transformation sand the designs. Also, I felt good that I was supporting a show featuring two young veterans. A much appreciated change was that the couple didn’t just focus on money, they seemed to have a genuine passion for rehabbing in communities that needed it the most and hiring other veterans on their projects. Looking forward to their return. something that could be considered in the future. I am an avid HGTV fan and would love to see different people from different walks of life on the Network. Please bring this show back this year, 2018. I love their chemistry as a married couple and how they use other military people with their flips, what a great way to give back. Thank you for your services. WHEN IS THIS SHOW COMING BACK?? Love the show. I’ve been looking for it. This married couple are awesome. Bring them BACK!!!! Flip or Flop Ft Worth is awesome! Please bring them back for more seasons! X Love this show! This is one of my favorite Flip or flop spin-offs. Look forward to season 2! I LOVE, LOVE, LOVE, this show! Such a beautiful young couple working together to create something special. I hope HGTV brings this show back for a second season. I love all the Flip or Flop shows, please renew all them. This is so entertaining, the show is awesome. I love Flip or Flop Ft Worth. Andy and Ashley are down to earth, regular people who do an awesome job. I can’t wait for the next season!!! I can’t wait for Season 2!! Love Andy and Ashley. They’re a young, and hip ex military couple, who do a great job in renovating. They add a new and fresh energy to the renovation arena. Plus they help support their fellow vets.